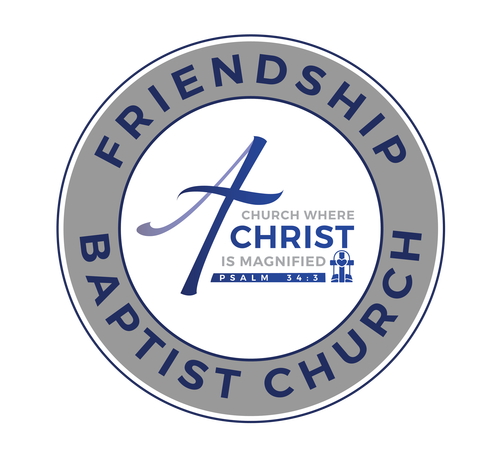 Friendship Baptist Church is a church where CHRIST is magnified. Through individually and collectively presenting our bodies to Christ as a living and Holy offering. We are Bible Based, Christ Centered, Accountable and Saved to Serve. To Disciple Fully, Evangelize Fruitfully and Serve Faithfully. We value EQUIPPING believers for growth with the Word of God through Biblical teaching and preaching for application in our everyday lives. We value PRAYING to God, through the power of the Holy Spirit, as a means to communicate with God on behalf of ourselves and others. We value MINISTERING to the needs of members, non-members, believers and non-believers by fostering a strong community presence. We value SHARING the Word of God and spreading the Gospel of Jesus Christ to reach the unchurched and unsaved to change lives and win souls. We value NURTURING a personal relationship with God and each other as a faith community, by demonstrating the love of Christ in unity and fellowship. We value EXPRESSING our love for God through sincere worship in our corporate gatherings and personal lives.